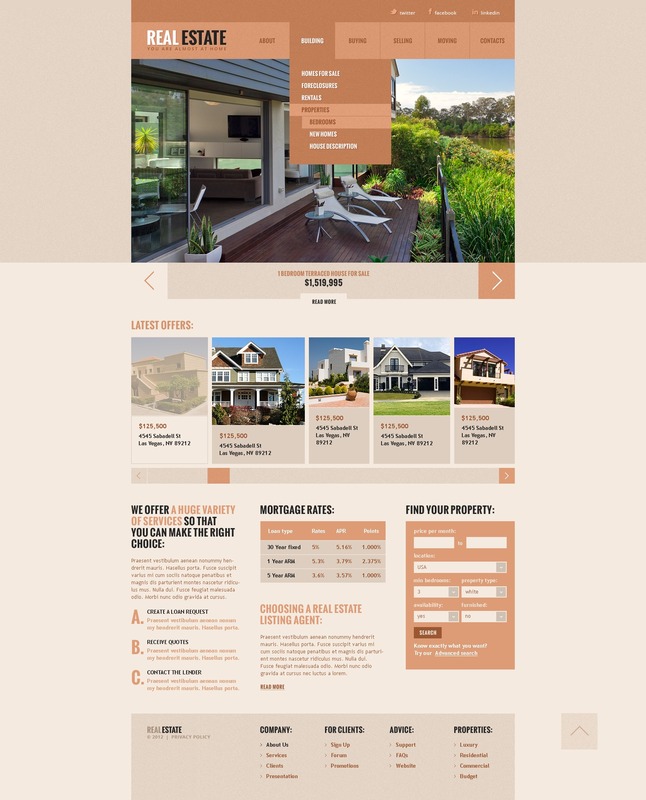 Should you need a web site, this estate agency website template may be your best discovery. It is suggested to utilize the design template for real estate rentals or property agency however you can simply tailor it exactly how you want. If you feel that it's time to enter the foreign market with your products and services, this web template will definitely allow you to do this fast, effectively and within limited budget. To drive mobile traffic to your website, this responsive theme has been optimized for lots of handheld gadgets. In case of any problem with this theme, you can communicate with one of the professional assistance managers and they will resolve the problem of any complexity for you. We hope you are as zealous dealing with this web theme as we are. For this reason, the only thing is left to do for you - obtain it!